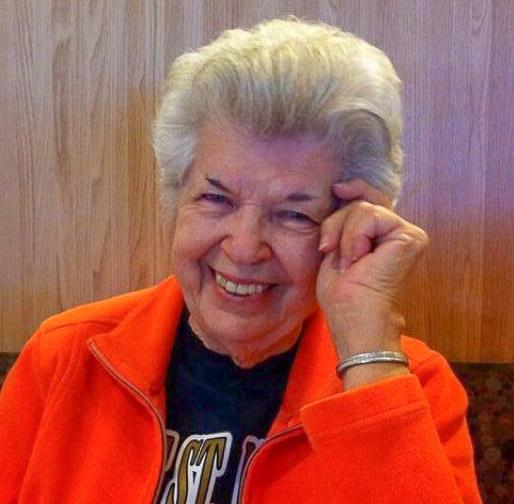 Florence L. Gazda (nee Kalicky) 88 of Mesa, Arizona, formerly of Whiting, passed away Sunday, April 7, 2019 at her residence. She was the beloved wife of the late John M. Gazda, Sr., who passed away November 11, 1993; loving mother of Lorraine (Scott) Mayes, John (Margaret Stack), Greg, Jeanine (Ken) Miskus, Timothy (Deanna), Amy Jo (David) Renda and the late Thomas Gazda; cherished grandmother of Justin (Jamie) Gazda, Julianne (Kyle) Cornfield, Marisa Mayes, Jonathan and Adam Miskus, Andrew, Madelyn and Samantha Gazda; adoring great grandma of Kristof, Olivia and Clare; dearest sister of the Rev. John E. Kalicky, C.PP.S., Mary Kathleen (Matthew) Bukovac and the late Thomas (late Cathy) Kalicky; many nieces and nephews. Funeral services will be held on Saturday, April 13, 2019 at 9:30am at the Baran Funeral Home, 1235-119th St., Whiting; a Mass of Christian Burial will be offered at 10:00am at St. John the Baptist Catholic Church, Whiting, with the Rev. Mark R. Peres, C.PP.S., officiating; interment, St. John Cemetery, Hammond; visitation at the funeral home on Friday from 4:00 to 8:00pm. Parish Wake Service at the funeral home on Friday at 4:30pm. The Knights of Columbus, Pope John XXIII Council, 1696 will offer prayers at the funeral home on Friday at 7:00pm. Florence Gazda was born on April 19, 1930 to John and Lillian (Spychalski) Kalicky. She was a longtime resident of the Whiting-Robertsdale Community and a graduate of George Rogers Clark High School, Class of 1948. A very devoted member of St. John the Baptist Catholic Church, Whiting where she had participated with the Marian Theatre Guild (St. John Drama Club), served on the Centennial Committee and was also a member of Christ the King Roman Catholic Church of Mesa, AZ. Florence and her late husband, John were the owners and operators of Gazda’s Apparel in Whiting for many years. She was also a former employee of the American Trust & Savings Bank, Whiting, the Calumet College of St. Joseph, was the second manager of the St. John Panel Room and retired as the parish secretary of St. John the Baptist Catholic Church. Florence was a Banner Health volunteer for the Cardiac Catheterization Pre-Op area, where she kept the nurses on their toes! She enjoyed needlepoint and quilting and was an avid reader. Devoted to her family, Florence will be sadly missed by all who loved her. In lieu of flowers, memorials to either the St. John School Endowment Fund or to the Share Foundation with the Handicapped, would be appreciated.